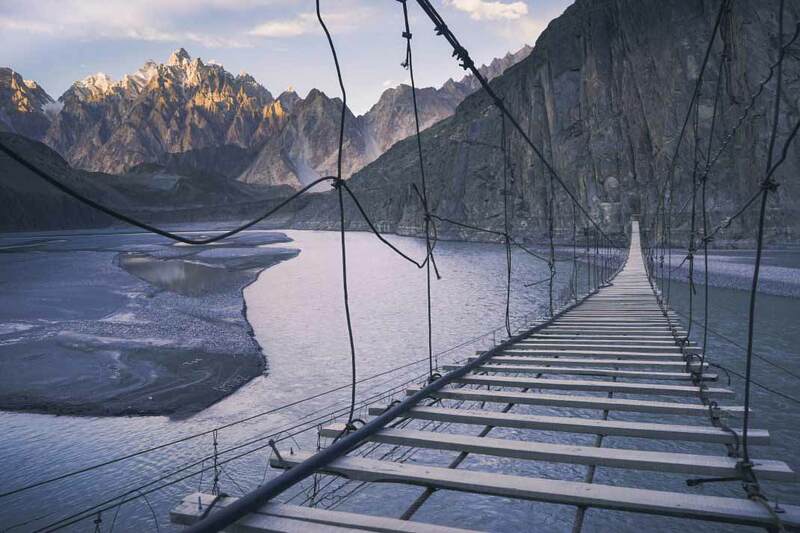 What brings a traveler to places like this? 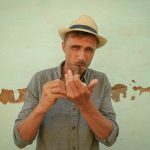 Is it the desire to be so far from other travelers and achieve an authentic experience, or is it the thrill of stepping into the forbidden and unknown corners of the world? 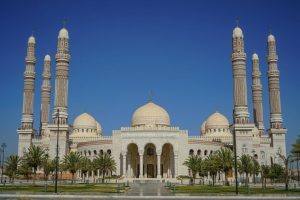 When it comes to Yemen, I found my attraction drawn from its plethora of historical sights and its splendid natural beauty. But if I am to be one hundred percent honest with you the tremendous lure in coming to conflict areas like Yemen are the people. 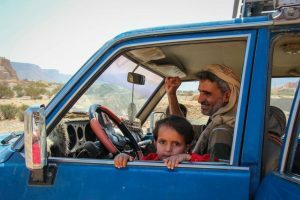 Yemen’s people are unlike anywhere I have ever been. Their hospitality is contagious, they smile even when there are airstrikes happening blocks away and no matter who you are, or what you believe in, they will be your lifelong friend. This is what makes all the pain, all the danger, and all of the after effects worthwhile in venturing into finding the truth for yourself. This is Yemen, true Arabia. Yes, it is true, I traveled through Yemen this winter for five weeks. 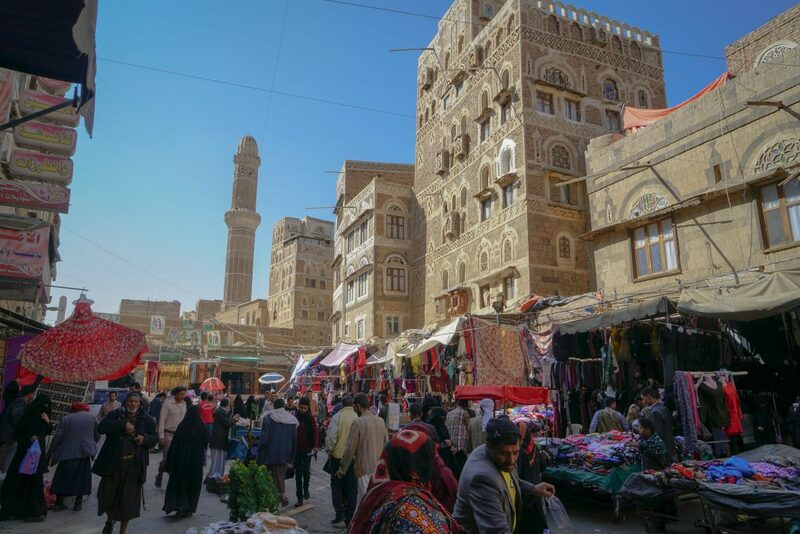 Regardless of what you think of my journey here, the one thing you must understand is Yemen is not ready for tourism. 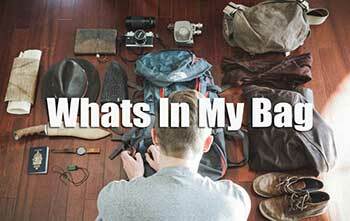 I travel to these destinations not as a tourist, but as an experienced backpacker. 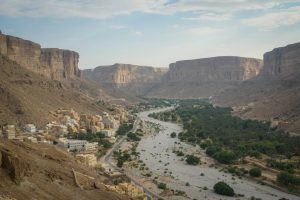 Traveling in any conflict zone brings risks, but I have a purpose for traveling to these places, and that is to bring awareness about the situation in Yemen, and help the people of this country in the future. If your reason for coming to Yemen is solely for adventure, then I urge you to consider waiting until the situation improves. Kidnappings, imprisonment, and armed conflict are a reality here. If you do choose to travel to Yemen, please do not contact me for advice until the conflict has ended. The world has labeled Yemen’s war as the forgotten war. 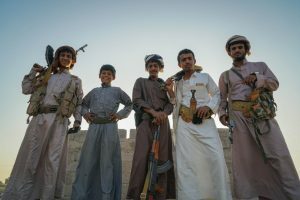 After driving across the nation for five weeks observing the countries conflict I can relay to you the Yemeni people’s perspective on the war. During my journey here I stayed with locals, interacted with coalition and Houthi supporters, was jailed, interrogated and witnessed the after effects of the death of former president Ali Abdullah Saleh. 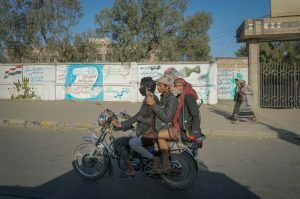 After ousting the ex-president, Yemen began its civil war between the coalition and the Houthis. The situation is not as easy as this however, there are multiple other political groups claiming territory here as well. Here is a quick explanation of the largest groups in Yemen. Backed by Saudi Arabia, and funded by the United States, the coalition is the remnants of Abdrabbuh Mansur Hadi’s government. Their territory makes up large areas in Marib, Hadhramaut, and their political headquarters in Aden. The coalition is backed by Saudi Arabia who supports the war with airstrikes and attacking the northern frontline. Even though the coalition is supported by most western governments, their territory remains the most lawless and uncontrolled. While driving from Oman to the capital city Sanaa in the coalition held territories I observed heavily armed groups carrying ISIS and Al-Qaeda flags. 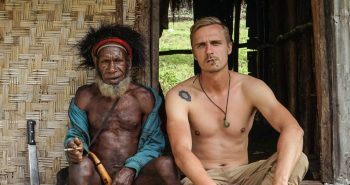 My guide for the area also told me to wear local clothing and to lie about my nationality as our presence in these regions was risky. 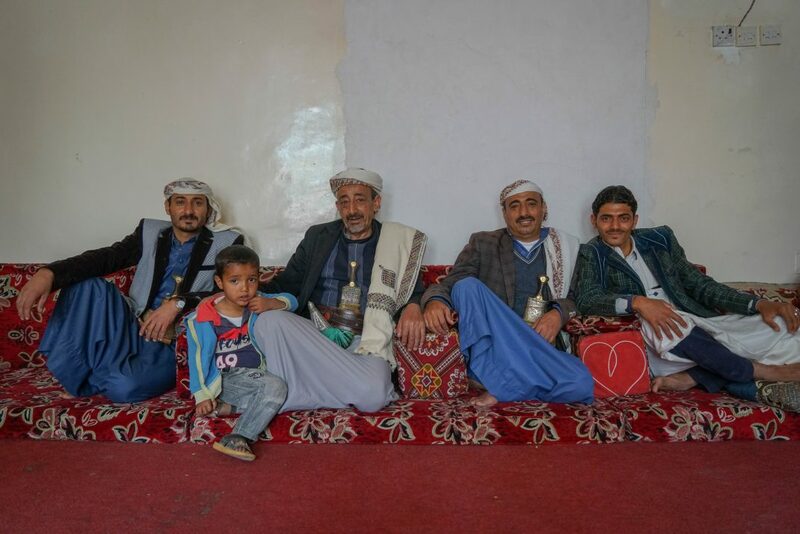 Emerging from Sa’dah in northern Yemen the Houthi are of the Zaidis sect, and are predominantly Shia-led. The Houthi are led by Abdul-Malik al-Houthi, brother of the first leader, who was reportedly killed by Saleh’s forces. The Houthis control the capital Sanaa, and the territories around the Capital including the port of Al Hudaydah. The ex-president Ali Abdullah Saleh was allied with the Houthi for part of my journey in Yemen, but while I was in Sanaam, Ali Abdullah Saleh began making overtures to work with the Saudi Alliance which resulted in armed conflict with the Houthi. During the fighting which ensued, Ali Abdullah Saleh was killed and his son Ahmed Ali Saleh took control of the forces dedicated to the ex-president and continued the conflict with the Houthi. Many other territories in Yemen are split up. Even entire cities like Taiz are controlled by rogue leaders. More often than not, the territories under smaller groups are either working with or controlled and aligned with terrorist organizations like ISIS or Al-Qaeda. Their territories are confusing and hard to follow as they shift daily. 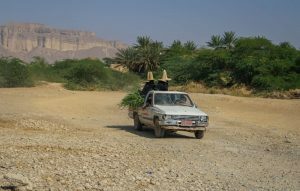 Travelling through Yemen takes years of planning and plenty of obstacles. You cannot simply fly into Sanaa and expect to be let in. All travel here is actually banned, so logistically speaking you cannot travel to Yemen. It took a lot of planning for me to get there and I had to pull some strings to make it happen. 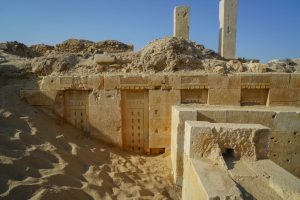 With this post, I want to focus on bringing my perspective on the countries historical sights and its people. 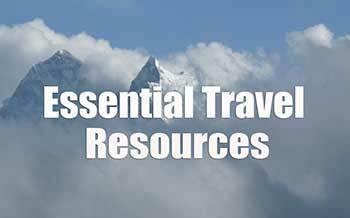 Traveling here you must first take into consideration which territories are controlled by who. This is important as the rules change with every new territory you enter. Apart from the rules changing, the security changes drastically as well. For example, the Coalition territory was rather lawless, while the Houthi were more suspicious of me and required more permits. Knowing the security situation in each region is based on the control each government has. The Coalition being quite lawless allows terrorist organizations to run rampant in their territories. Knowing how these groups think is essential to your safety. Their main goal is no different than the majority of the governments and that is to create a state governed by them. The thing is, they are willing to go to much more drastic measures to get what they want. As a foreigner, you become a target. They can kidnap you for money which will help supply their warfare. The next factor is knowing the war. Understanding how war works is essential to keeping yourself safe in these kinds of places. 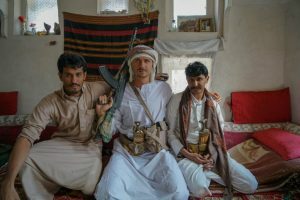 Yemen’s conflict is unique, however. 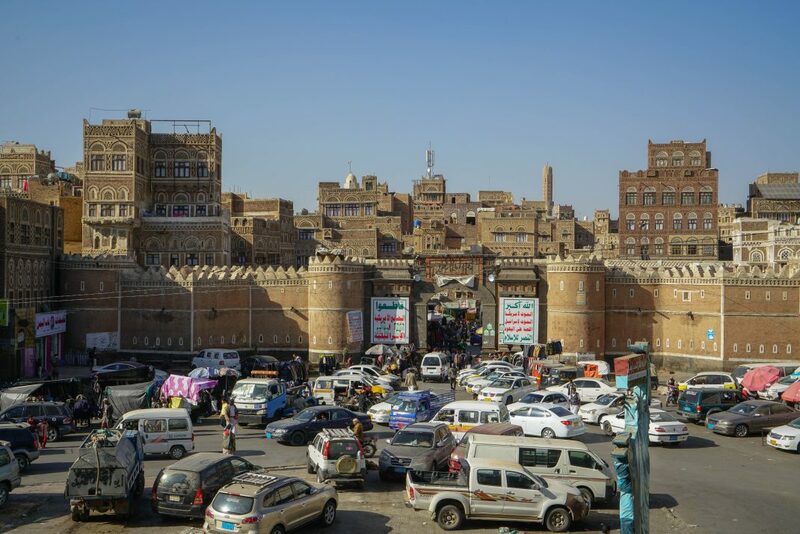 Every day I was in Sanaa, the Saudi Alliance conducted precision bombing into the city. Many times these bombs were in close proximity or directed at targets near me. These airstrikes often killed innocent civilians. Yemen’s war is also changing fast. 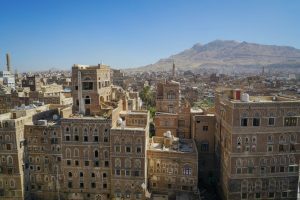 While in Sanaa, former president Ali Abdullah Saleh started making overtures to the Saudi Alliance in direct conflict with his previous alliance with the Houthi. The city quickly turned into an all-out war, making our travel plans come to a halt. The security and combat are definitely big obstacles, but the hardest factor is witnessing the after-effects of war. The ones who suffer the most are the civilians of Yemen. 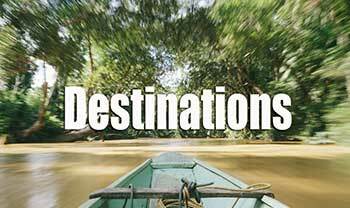 Traveling here, every day you will see people suffering from disease, poverty, and conflict. Never has a country captured my heart quite like Yemen. Its nature is pristine. Its historic sights are breathtaking. And Yemen’s people are the most hospitable I have ever met. If it wasn’t for all the war, Yemen would be a travelers dream. It is a country like no other! When the war is finished – which I hope is as soon as possible – come here and you too will discover why I am so in love with this place. 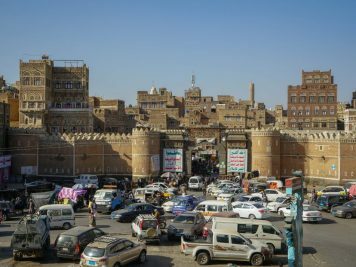 This is a brief account of my journey through Yemen mainland. From Oman, we crossed the remote northern desert border. Yes, It is one hundred percent possible! I entered with a company as a tourist. I had no special permission at this point. 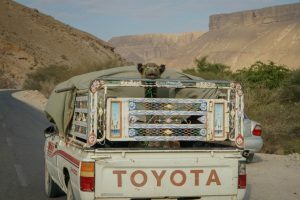 From here it was a long, nine-hour drive to Seiyun, the capital city of Hadhramaut. The lush valleys around Seiyun take you back in time. The mudbrick houses line the rivers while superb rock gorges tower above replicating the Grand Canyon. Life here is simple. Most people make their living from farming the fertile valleys. The remoteness has left the region quite traditional. In the valley, we visited a few incredible places. The first was Wadi Dawan. It is famed for its untouched towns, palaces, and natural beauty. 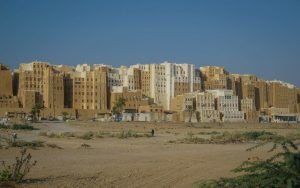 The second was the legendary city of Shibam, which is dubbed as the Manhattan of Arabia with its eight-story ancient mudbrick towers. Lastly, we visited Tarim, which has plenty of historic cemeteries and mosques. Leaving Hadhramaut, you enter the endless sands of the Empty Quarter. 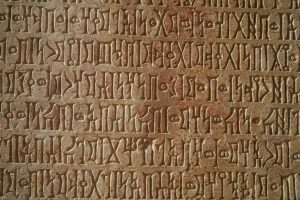 Here is also the ancient Sabaean kingdom. Hidden in the sands are ancient ruins of the little known Sabaeans they ruled the region for almost 1500 years and the kingdom of Saba’ has been linked with the biblical land of Sheba. This region is also one of the most lawless in Yemen. Crossing the vast desert, you come across small communities which exist solely to supply travelers with petrol and food. It is like a scene from Star Wars Tatooine. You will find groups like ISIS and Al Qaeda here, however, and is not a good place to be for too long. Pushing further on through the sands you pass by Saudi and Emirati oil fields, who of course have ties with the USA ripping the black gold from the land. They create checkpoints that you must go through, and they are not the least bit friendly to foreigners being here as you can probably imagine. 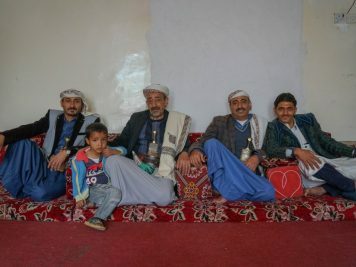 Once in Marib, we stayed with a local Bedouin family, who I am quite sure had more arms than the Coalition themselves. This family who took us in also brought us safely to see the ancient ruins nearby. This is where the real journey began. With the highway being closed between Marib (Coalition) and Sana’a (Houthi) no foreigners have been able to cross the region. There is, however, a mountain road that takes you through the back door into Houthi controlled territory. Leaving the Coalition frontline, you pass by lines of tanks, artillery and mountain outposts covered with snipers. It was a scary sight. 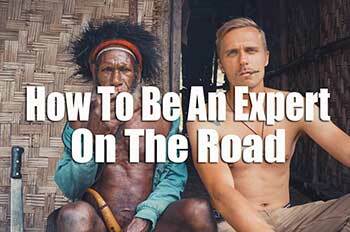 The pavement ends and you cross through remote mountain villages and plenty of refugee camps. After four hours we finally reached the Houthi line of control. Their green and red flag can be seen from miles away. 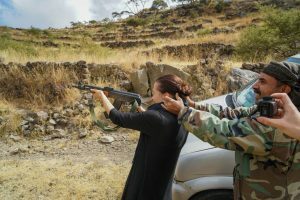 The checkpoint is filled with rebel fighters adorned with headbands, random camouflaged jackets, and a stern look on their face. They greeted us well however and granted us permission in! Seven more hours of driving finally brought us to the capital city Sana’a. Sana’a is like a dream. 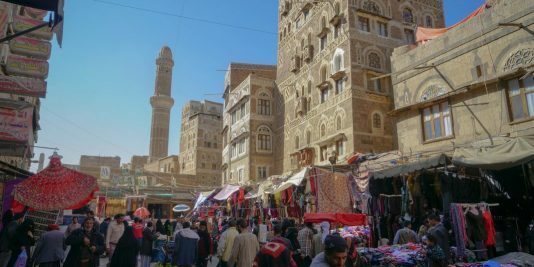 The old city brings you back in time to old Arabia, its thousands of mosques blare out the beautiful Adhan, and the streets are full of life. 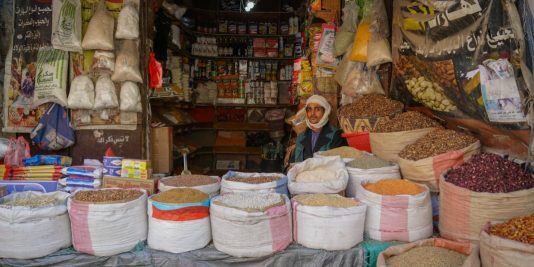 Sana’a is by far my favorite place in Yemen. Sana’a, however, has faced plenty of the cruelties of war. With countless airstrikes every day, many buildings have been reduced to rubble. Much of the city has no running water or electricity. The resilient Yemeni people have fixed this, however. Solar panels now power the city, and water is brought in every day with trucks. It’s an incredible sight! 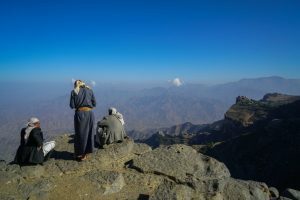 After exploring the culture hub of Yemen we headed off to the Haraz Mountains. 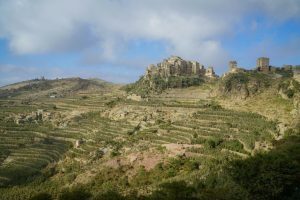 Here the rock villages defy gravity, clinging to the sides and tops of 3000 m plus peaks. Nowhere have I ever seen such exquisite mountain communities. Sometimes the buildings reach five stories high meanwhile being situated right on the edge of a cliff. These building can also be over 500 years old! 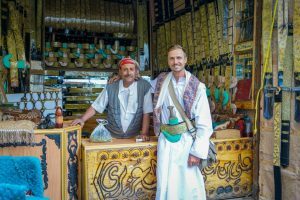 These villages are living museums, and the people who live here keep Yemeni culture at its most traditional. We stayed with a family in Manakhah who treated us with local cuisines, hiking and cultural lessons like how to tie a turban. We hiked here for several days from village to village and were greeted with such amazing hospitality. This seemed like the safest region in Yemen for me. Apart from the steep mountain roads, I felt no danger here. From Manakhah we drove to Al Mahwit, yet another dazzling mountain community. On route back to Sanaa we stopped at the historic Kaukaban and Shibam. Unfortunately, because of the circumstances, we could not continue from here. On our fifth week, we caught a flight with the ICRC (Red Cross), to Djibouti. Finally, this is where I will give my two cents on what I have seen in Yemen’s war. 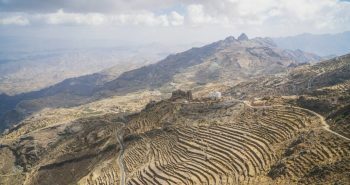 Yemen is a unique destination. The people are resilient, and the country will most definitely prosper when the war is resolved. If you read headlines like “Yemen is the next Syria” or “This is the Year Yemen Was Destroyed” ( As Vice so eloquently put it), I encourage you to blatantly accept all of this media as propaganda. I can tell you from experience there were no news agencies on the ground in Yemen, all of their news is provided by sources that have their own agendas. Who will gain control and power of the nation at the moment is unknown, but talk to any local and they will tell you regardless of the outcome, the PEOPLE will come together to make the country prosper once again. To simply put it, Yemen is not being divided by its own people, but instead, it is the influence of foreign powers. Even the radical groups coming to Yemen are foreign. Ask the Coalition or the Houthi’s who the real enemy is, and they will tell you it’s the ones dropping bombs and killing innocent people. It’s the ones stealing Yemen’s plentiful resources. Yemen is yet another nation to suffer because of the greed of first world powers. Yemen is not lost as the media wants to put it. Yemen is just how it used to be. The country is filled with delightful surprises, charming people, and pleasing natural wonders. As for Yemen’s future, the war is temporary. When the struggle comes to an end, the country will recover and become just as indescribably beautiful as it was before. Yemen, like no other country, has captured my heart in this specific way. Even after having to leave due to war, all I think about is going back. Yemen is in a simple way, beautiful. 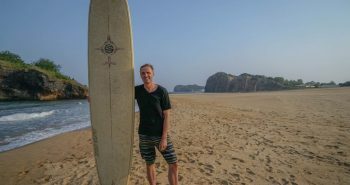 Its remote deserts, sublime mountain scenery, picture-perfect historical sights, scrumptious cuisine, buzzing markets, and most of all, its people who have left an everlasting impression of kindness and hospitality. 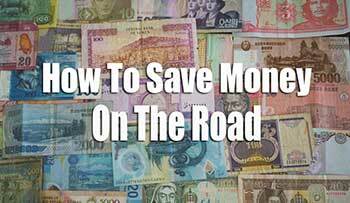 I will be going back to Yemen, in fact, I will dedicate every effort I can with Uncharted Backpacker to promote travel to this wonderful nation because the moment any traveler steps foot here, they will be addicted just like I am. This is a huge thanks to all my friends in Yemen. You are all amazing and I cannot wait to return and chew Khat, eat massive meals, and explore more of paradise with you! 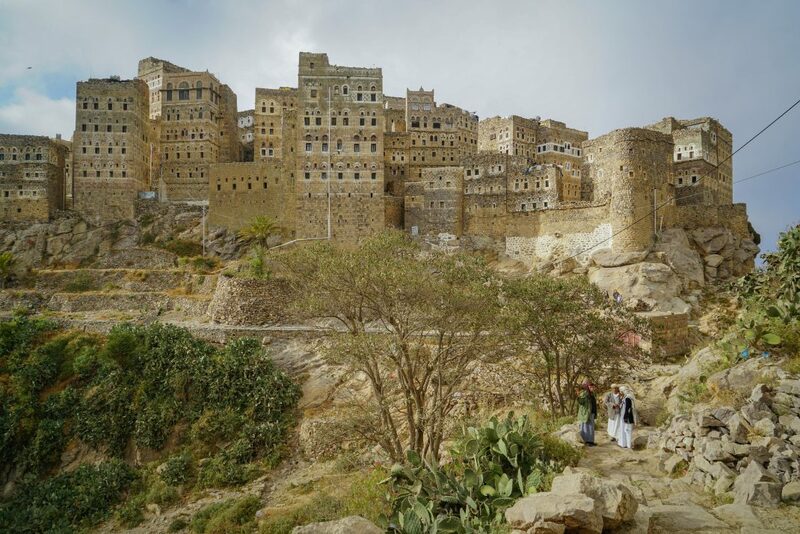 Yemen is not ready for tourism at the moment, but the future is hopeful. 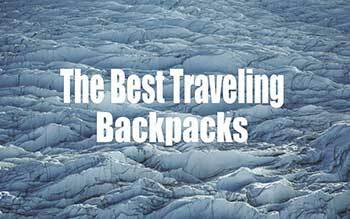 Let this post take you into one of the Uncharted Backpackers favorite destinations so that in the future when the war is over you too can see how special this land is. Target practise while our guide plugs Chelsea’s ears! Follow me as there will be plenty more Yemen posts to come! 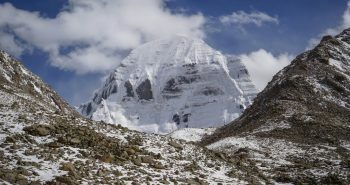 Amazing to read about your trip! 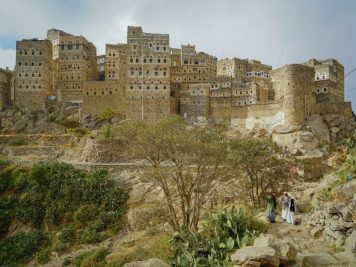 I lived in Yemen for years and long to go back. I miss the country and my friends so much. It is great that you made this trip despite the war and all the negative news. Yemenis are fantastic people and deserve our attention and most of all peace! Such an amazing article absolutely love it and I am so proud of the person you have become. Stunned to see the picture of my family in law, the Al Agel family in Manakha. My Yemen husband and I are now in the Netherlands, missing our Yemen family and friends. All attention for Yemen is welcome. Thank you so much for sharing your story about this wonderfull country and its people which desperately need peace. Tears of joy reading this article. 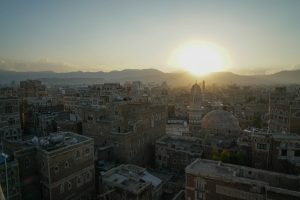 I spent most of 2005 living in Sanaa and travelling the whole country. Love for this land is not choice. It is instant the moment you leave the airport. I spent my time there in constant wonder. Beauty is everywhere. The people are noble, generous, funny and often crazy. I had so many adventures in my year living on the top floor of an ancient mud house in the centre of the old city. Oh those sunsets and monsoon rains and the electrical storms! Nothing by halves. I camped on beaches so beautiful I’m not sure why the bombs are being dropped there when the whole cost could be a tourist riviera! Dolphins chasing giant tuna whilst eating local flat bread and bbq’ed fish. 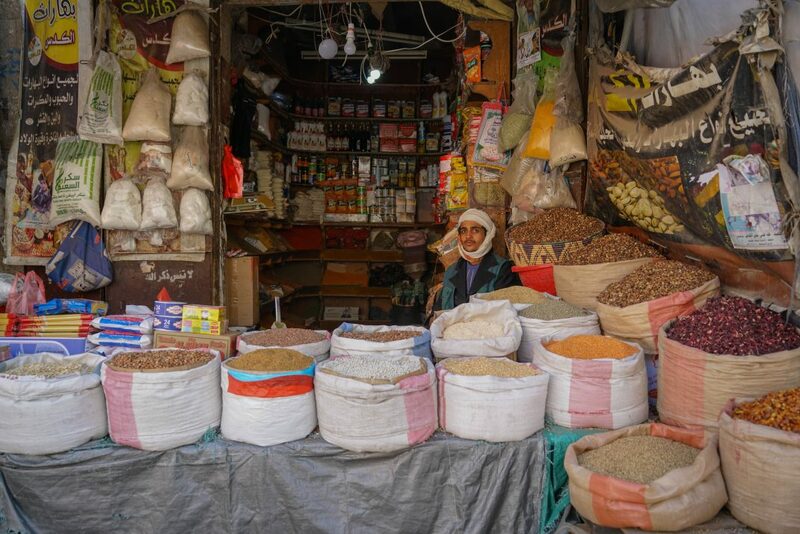 The markets in Sanaa were unforgettable. Incredible silver made by the old Jewish community, fabulous natural remedies for any ailment. Beautiful carved wood and bejewelled robes. Thank you for such an un uplifting article. You give me hope for Yemen. Hi Stephen, such an interesting article. I’m following the “forgotten war” day by day and few months ago I had the same curiosity to go there and understand what is really going on there despite what media say (or do not), but I don’t have enough experience. 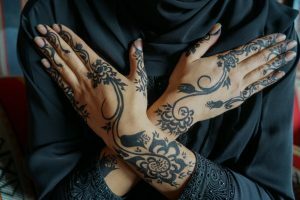 One thing I’ve noticed from your post is that you’re portraying Yemen and even Sana’a with beautiful pictures and no violence or devastation images as we all see from media every day; is that a choice or there are other reasons? Also I was wondering how is the situation in Socotra, is it accessible? Respect for what you’ve done, helpful post. Hey thanks for the Comment! So as for the pictures of devastation I will post some,but not on this post. This post is to show that despite the war and all the atrocities there is an amazing country. 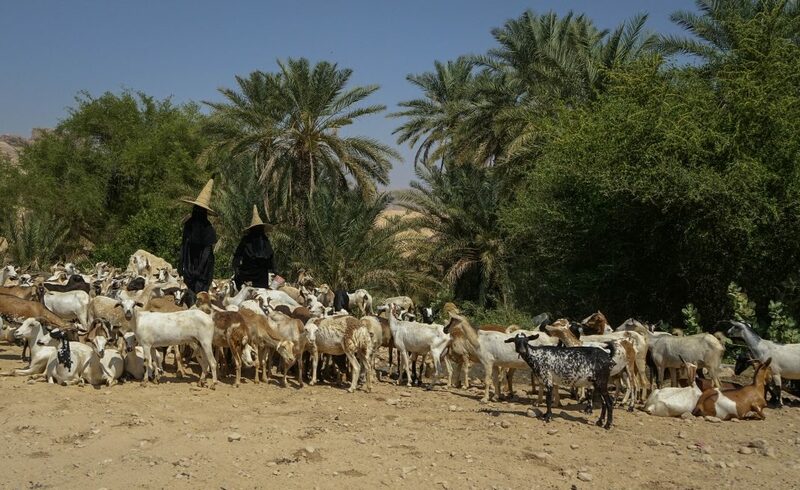 As for Socotra I did not go, but i am getting contacted by many companies that claim they do operate tours there, whether they are legitimate I do not know. How good it is to hear from our beloved Yemen, even if the pretty photos should not hide a different reality for thousands of Yemenis. 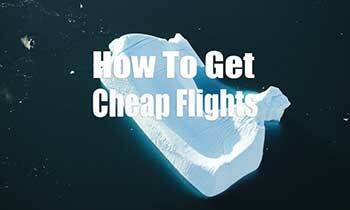 How did you get a visa and where? 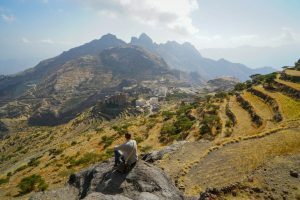 I made 8 trips to Yemen and 6 to Socotra, I had to cancel my trip in 2015 for lack of a visa. Today it is really impossible to obtain a visa by the “normal” way of the embassy. Thanks a lot for sharing such amazing article, as Yemeni citizen, I can confidently say that you had more experience and info about Yemen more than a lot of Yemenis. 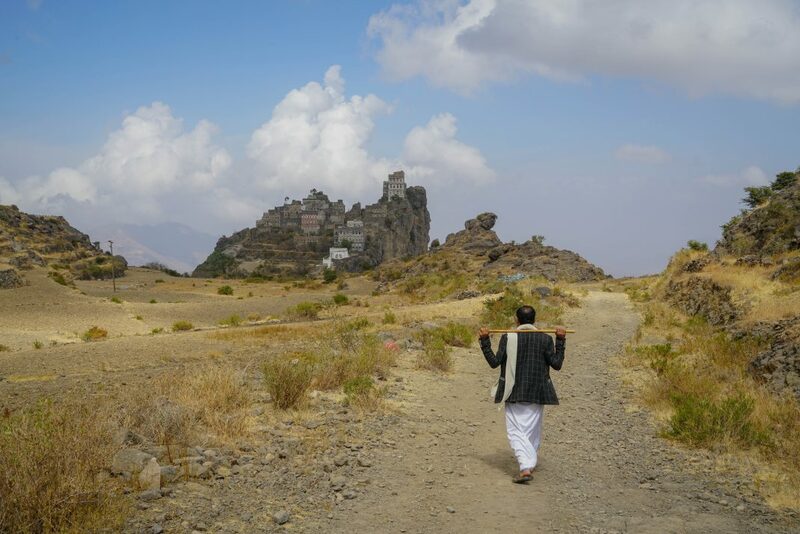 Deeply appreciate your initiative to visit and write about Yemen during the hard period. 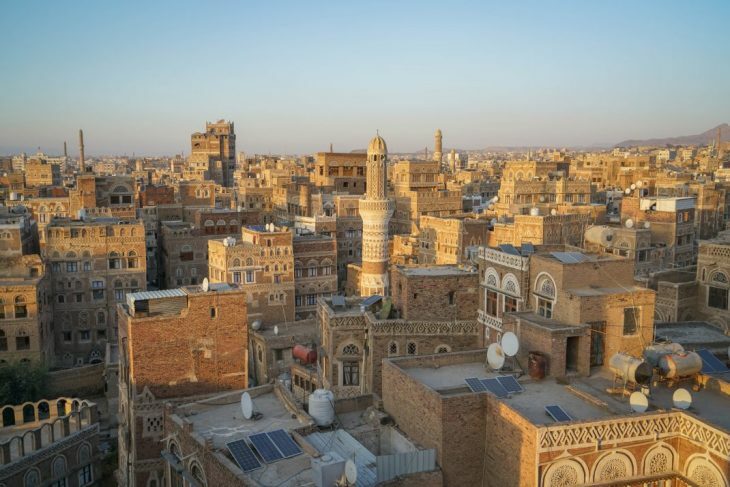 Wonderful to read something so positive about Yemen and Yemenis. I lived there in 1981-3, in Jebel Hufash – beyond Mahwit, and more beautiful still – and long to go back again. I last visited in 2009. I fervently hope this amazing country becomes safe again, for my Yemeni friends and for tourists. Good work, Stephen. 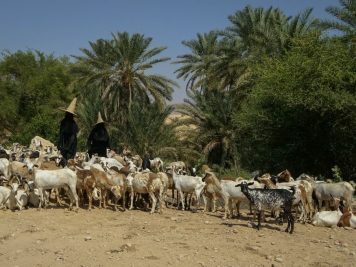 Lived in Yemen in the ‘golden years’ (2004-07) when I could travel from Sa’adah to Socotra, from the Tehama to the Hadramawt. 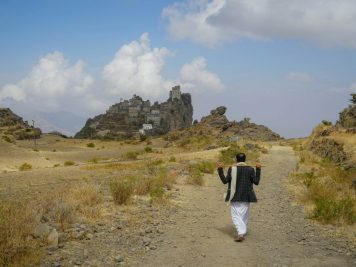 Andindeed, scenery, culture and especially the people make a stay in Yemen an unsurpassable experience. Just read this post. 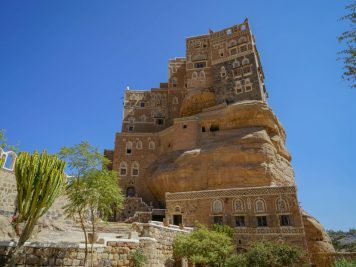 Going to Yemen has been a distant dream of mine for years now, and I think it’s great there are travel bloggers like you who do this kind of traveling and reporting. This is the kind of content I want to read. 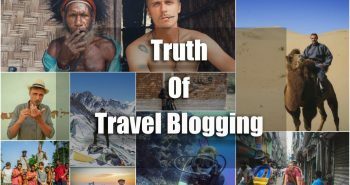 Amidst the listicles and empty pretty pictures saturating the travel blogosphere, you are a true inspiration. Thank you for sharing. 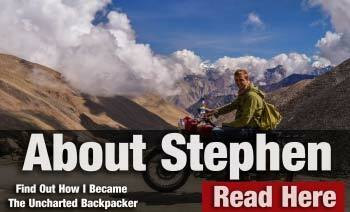 Stephen, you are really adventurous. I am from Yemen , specifically from Marib. I wish I had had the chance to meet you and your friends. I live few kilo meters from the Barran temple you visited. I hope to see you again in Yemen . Thank you for the amazing insight and look into the country. I’ve yearned to visit it for a long time, ever since childhood when I came in contact with Mandi for the first time. The history, landscape and people intrigue and captivate me. I hope to visit it someday too.